AfricAid is committed to learning from our data. Our MEL and Programs teams work closely together to ensure that learning results in action, and we are constantly using data to improve and advance our programs. 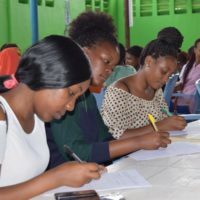 Monitoring, Evaluation, and Learning (MEL) is the process of tracking our Scholars and Alumnae as they learn with us and move on to the adult world, analyzing the data we gather, and using the results to learn and improve. Both the Kisa Project and Binti Shupavu are based on Theories of Change, and we engage in rigorous data collection and analysis to ensure that our theories hold up. We use a variety of measurement tools to gather data on our impact and ensure our programs are making a difference. 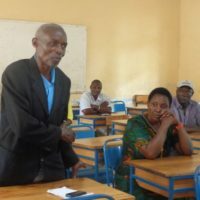 Taken at baseline, endline, and again years after the program has ended, Scholar Surveys give us a variety of qualitative and quantitative indicators. We learn about how Scholars rate their own confidence and leadership skills, and share the steps they’ve taken such as leading a group or organization or finding a job. Because of our strong Alumnae network, we are able to continue surveying former Scholars for years after they have left our programs, and we use this data to understand our long-term impact. Taken at baseline and endline, The Resilience Competencies Scale was developed by Dr. Robert Henley, a clinical psychologist, to quantitatively measure resilience in adolescents. Scholars rate their level of agreement with a variety of statements regarding their confidence, community network, ability to problem-solve, and more, and an aggregated score demonstrates their level of resiliency. 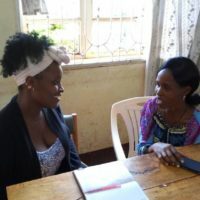 Parent Surveys are conducted with parents of Binti Shupavu Scholars at baseline and endline. 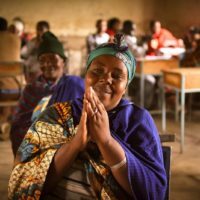 One of the primary aims of Binti Shupavu is to change parental attitudes towards girls’ education, so we ask them their opinion about a variety of contributing factors, including how they feel about educating their sons vs educating their daughters. National exam data is compared to our Scholars’ exam results to determine their performance compared to their peers, both in general and within their schools. Exam results determine a student’s eligibility to move on to further education, and are thus vital to our Scholars’ success. During Most Significant Change Interviews, Mentors ask Scholars, Alumnae, community members, and their fellow Mentors about the most significant change in their life that has resulted from involvement with our programs. This innovative survey format reveals detailed stories of impact that are not exposed by traditional methods. Learn more about Kisa Project. 26% of Kisa Alumnae have already started a business and 50% plan to do so in the future. 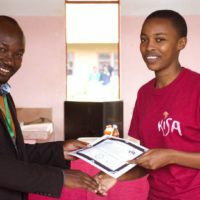 In 2017 Kisa Scholars scored 10% higher than the national average on the final exam of secondary school. 96% of Kisa Alumnae actively seek leadership roles in their school, work, or community. Learn more about Binti Shupavu. Binti Shupavu had a staggering retention rate of 85% in 2017. Our goal is 88% by 2020. 46 Scholars invited friends to class who eventually decided to join the program. 245 parents attended engagement events to discuss the importance of educating their daughters. Read our first Impact Report.